From major department stores to high-end boutiques, there seems to be an incoming tide of new retailers to Ottawa. 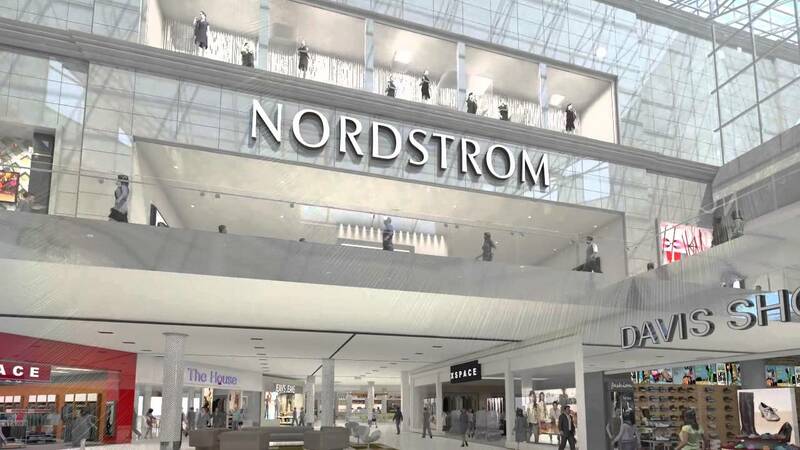 Nordstrom and La Maison Simons at Rideau Centre, Hot Topic, Levi’s and Under Armour at the newly opened Tanger Outlets in Kanata, and Whole Foods Market and Sporting Life at Shops at Lansdowne are just some of the new arrivals in the Ottawa retail landscape. Rideau Centre General Manager Cindy VanBuskirk says she welcomes the competition because being able to shop at new international retailers is good for everybody—and it’s no wonder retailers want to set up shop in Ottawa. Ottawa, Canada’s fourth largest city, is one of the most affluent in the country and is often touted for its high standard of living. The Ottawa market supports a variety of retail formats such as Tangerstyle outlet malls, high-end shopping centres and unique retail spaces like the Shops at Lansdowne. Ottawa’s population is above average in income and education, boasting the highest concentration of PhDs in North America. Ottawa families have a household income that is 16% higher than the Canadian average. Rideau Centre is in a remarkably desirable location for retailers, partly because it functions as a major hub that connects commuters to downtown, the ByWard Market, the Shaw Centre and The Westin Ottawa. All of these factors contribute to Rideau Centre’s impressive sales productivityof $970 per square foot of retail space—significantly higher than the Canadian average. New retailers to Ottawa are learning how to establish themselves by connecting to citizens through sponsored events and partnerships with local organizations. Bringing in new retailers benefits the city in a number of ways. It keeps money earned in Ottawa within the city and creates new jobs—Nordstrom alone has created over 600. And as we look toward 2017, when the eyes of the world will be on Ottawa for Canada’s 150th birthday, the city’s retail environment keeps getting richer. There is opportunity for all. ‹ Is This the End of the Commodity Supercycle?